Course Website: Official Website - Visit Eagle Point Golf Club's official website by clicking on the link provided. 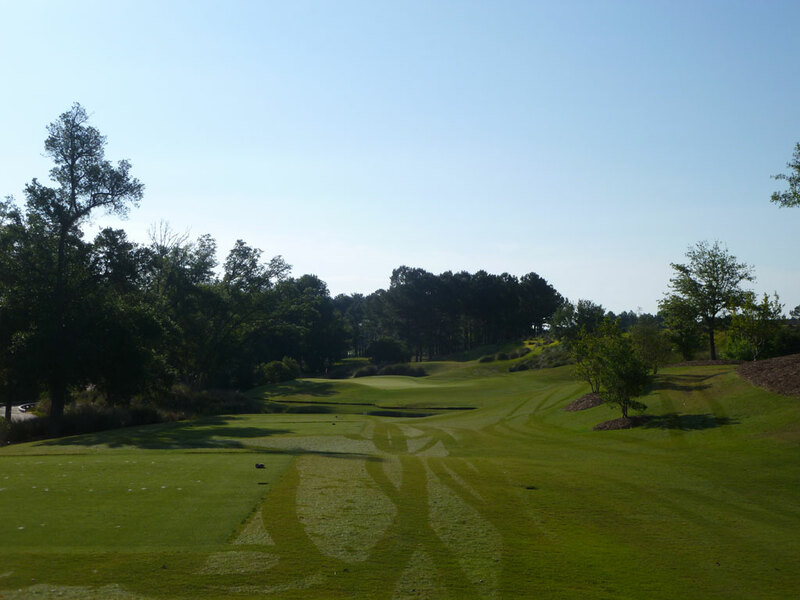 Accolades: Ranked 5th in North Carolina on Golf Course Gurus' Best in State list. What to Expect: When you visit a high end facility with seemingly bottomless pockets funding the operation, there is a good chance that Tom Fazio’s name will be associated with the golf course. 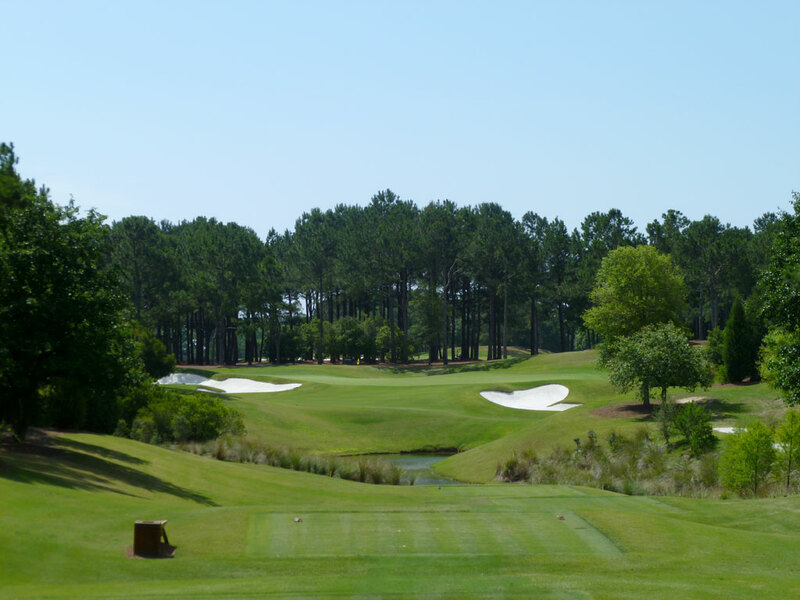 There is no exception at Wilmington’s Eagle Point Golf Club that boasts Augusta like conditions, club carrying caddies, and a spacious clubhouse that embraces the coastal surroundings. Tree branches are meticulously trimmed to shape the playing corridors and water features were created to add esthetics and challenge to the course. 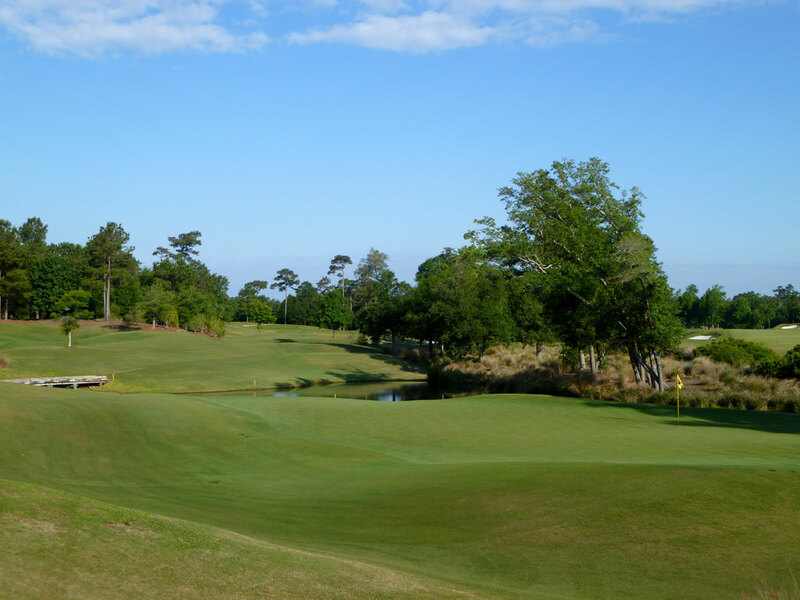 The course features gentle contours and elevation changes that help add to the stiff challenge found at Eagle Point. Like most Fazio courses, it is tough to identify a true signature hole when the course is so solid from start to finish. The firm conditions allow working the ground game while the speedy greens demand absolute precision. I heard one person say Eagle Point was a poor man’s Augusta National; but nothing is poor about Eagle Point. 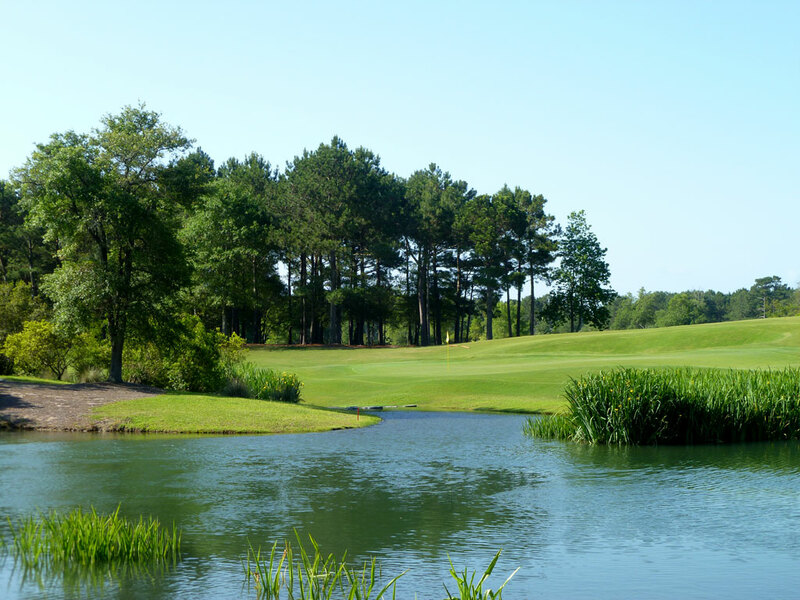 Signature Hole: 2nd Hole – 162 Yard Par 3 – On just the second hole of the day you are presented with one of the most memorable shots of the day; a par three tee shot over a pond to a green surrounded by trees and foliage. Missing to the left will result in a splash while a miss to the right of the green could potentially result in a kick down to the putting surface. There are no bunkers on the hole and the green is pear shaped with the small portion being located in the front right part of the green and the fat part sitting in the back left near the water. The 2nd hole is one of several signature worthy holes at Eagle Point, but it’s the first real glimpse of just how pretty this property can be. 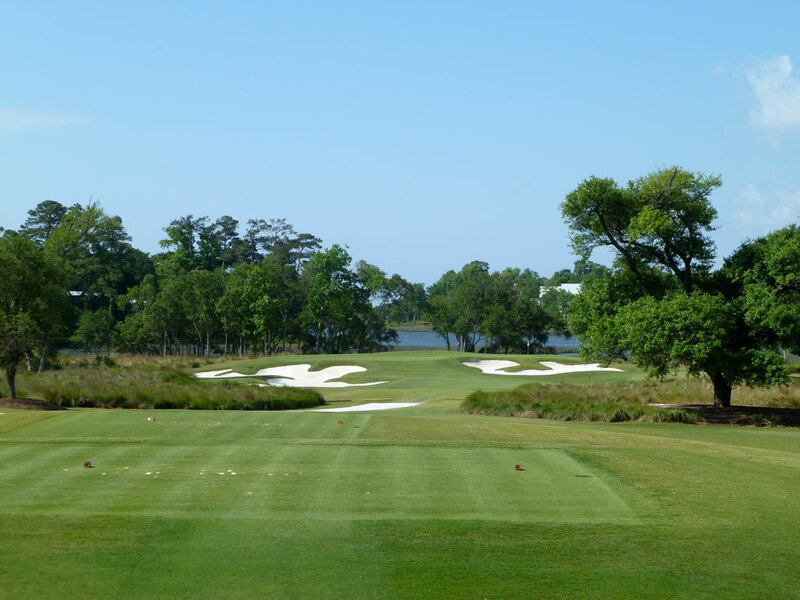 Best Par 3: 10th Hole – 186 Yards – This beautiful one-shotter plays over two Mackenzie style bunkers to a green that features a combination of trees and the Intercoastal Waterway as the backdrop. It is possible to run a shot up on this green, but it will require precision to avoid the bunkers and utilize the contours leading up to the raised putting surface. The logical play is aerial to this green that is twice as wide as it is deep and features edges that slope away from the putting surface. 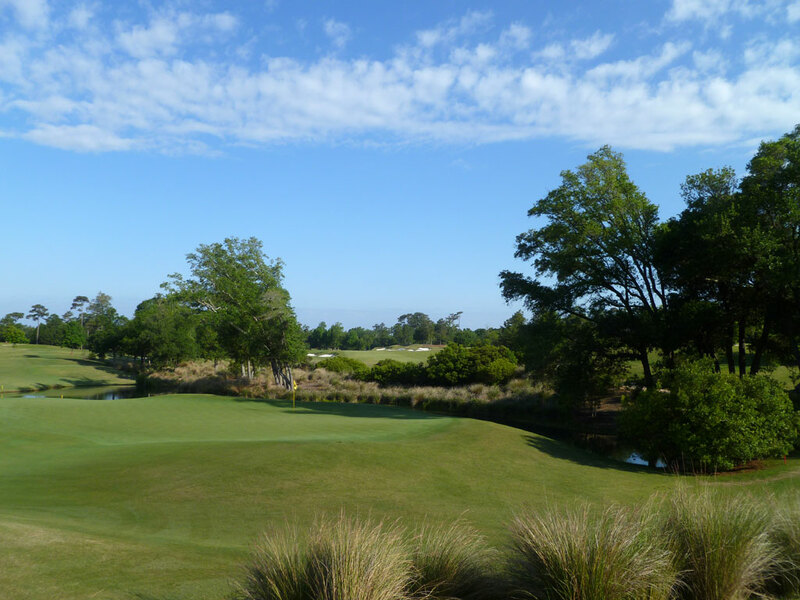 In this end, this is a beautiful hole that offers you a glimpse of the North Carolina’s history with a view of the Intercoastal Waterway. 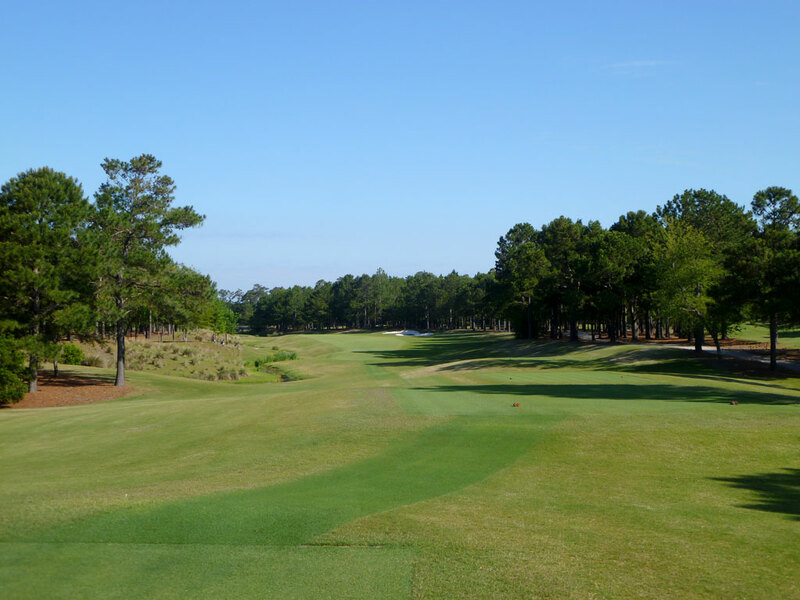 Best Par 4: 17th Hole – 442 Yards – The final par four at Eagle Point will separate the men from the boys. Playing back into the ocean wind, this 442 yard hole can play more like 500 yards or sea level goodness. One short of a dozen bunkers are found on the hole with a collection being found left of the fairway and another collection being found longer on the right side. Missing way left will bring one of Fazio’s created creeks into play, so the safer play is up the right side. The problem with playing it safe is that the holes turns left and plays longer from the right side of the hole. There are four greenside bunkers, all of which sit left of the putting surface; a benefit from playing the safe side of the hole. 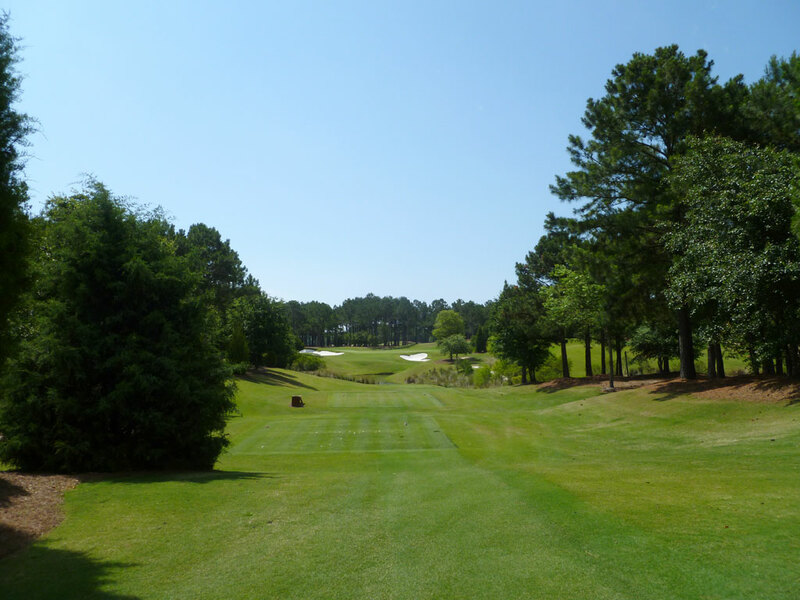 The fairway climbs gently uphill which can add to the challenge of this hole that provides benefits and challenges no matter how you decide to play it. 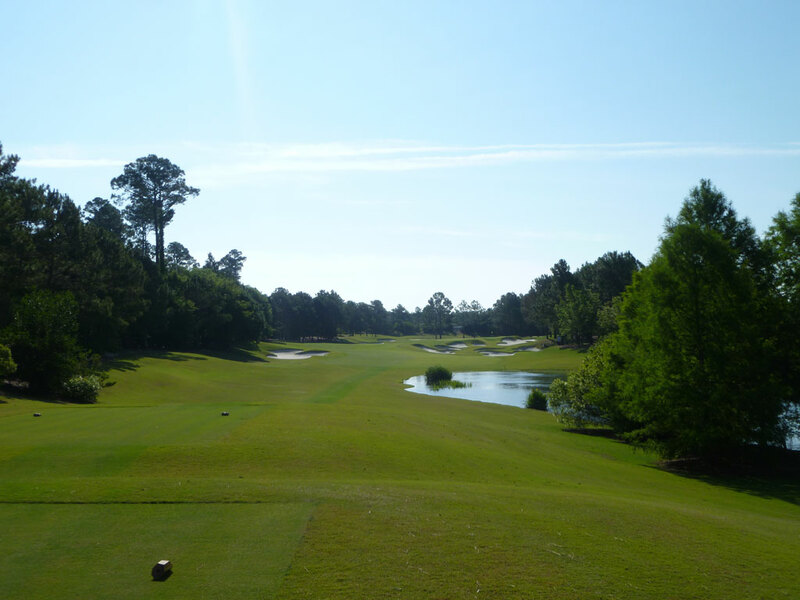 Best Par 5: 6th Hole – 549 Yards – Eagle Point’s 6th hole is a classic example of Tom Fazio’s ability to create something out of virtually nothing. The fairway is built up with a manufactured creek running up the left side. A fairway bunker lies in wait to gobble up tee shots that steer too far away from the meandering water hazard on the left. Reachable in two for many golfers, this hole present a great risk/reward opportunity as the creek cuts across the fairway and continues running up the right side until pooling up behind the green. Avoiding the water on right with your approach means bringing into play the bunker that sits at the front left side of the green. Do you start your approach over the water and draw it in or do you start your shot at the bunker and fade it towards the green? Me? I aim for the small opening between the bunker and the water and hope to hit the rare straight shot onto the green. Very fun, Fazio created hole. Birdie Time: 7th Hole – 353 Yard Par 4 – A hole with ten bunkers and a water hazard generally wouldn’t be considered a birdie hole, but at Eagle Point it is. The water is right off the front of the tee box and not in play for the vast majority of golfers. The bunkers range from pot bunker size to 30 yards long, but if you can take the right side of the hole out of play you are going to be sitting pretty. Seven of the bunkers are right of the fairway while two bunkers are short left of the green with the final bunker being well back in the fairway on the left side and virtually a non factor. Anything from a long iron to a driver off the tee that stays up the left side opens up the perfect angle into this green and should leave you with a salivatingly short approach shot. Take your straightest club off the tee, take dead aim with your wedge, and then one putt yourself to a birdie. 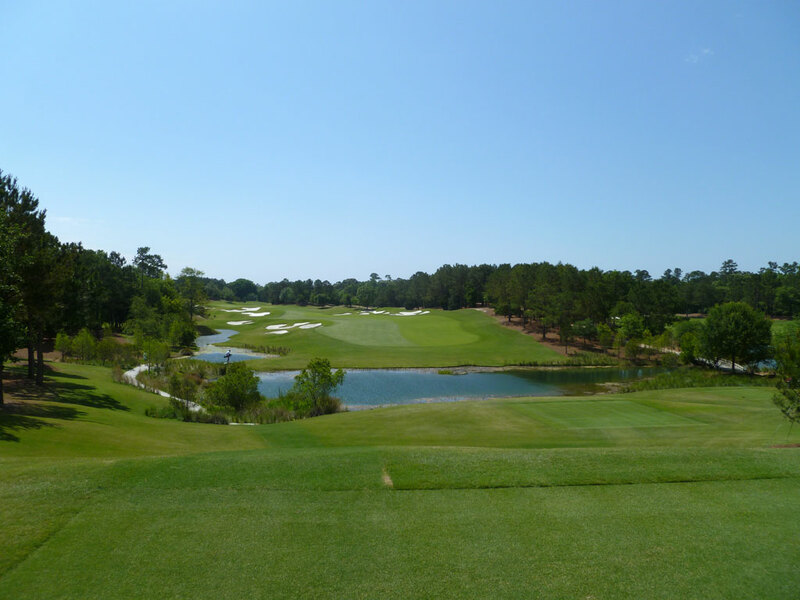 Bogey Beware: 15th Hole – 222 Yard Par 3 – Eagle Point’s final three-par is also the most difficult hole on the course. At 222 yards, it will likely be the longest approach you’ll have trying to reach a green in regulation. Your tee ball will generally play back into the ocean wind and must carry a water hazard and avoid a pair of bunkers in order to find the putting surface. The kidney shaped green is wider than it is deep; a situation that more manageable when the prevailing wind knocks the ball down and helps create a soft landing from this long approach. A long approach lacking a bail out area combined with super fast greens are a lethal combination working at throwing a bogey on your card.